Westworld is taking a pause. According to The Wrap, production on the new HBO series has been suspended temporarily. Based on the 1973 film of the same name, Westworld is a sci-fi series about artificial intelligence. The series stars Anthony Hopkins, Ed Harris, Evan Rachel Wood, and James Marsden among others. Westworld is slated to debut later this year. What do you think? Have you seen the original 1973 film? 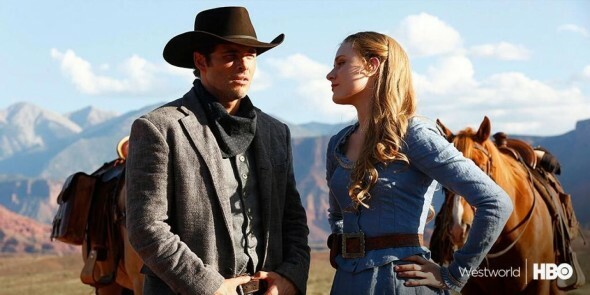 Would you watch Westworld the series? Yikes, I hope it doesn’t get canceled… I love the original movie & was really looking forward to seeing this on the small screen. Not to mention that James Marsden is a hottie!